For those of you unfamiliar with the national French holiday, we have this from Wikipedia: “The French National Day is the anniversary of Storming of the Bastille on 14 July 1789, a turning point of the French Revolution, as well as the Fête de la Fédération which celebrated the unity of the French people on 14 July 1790.” It’s the equivalent of our Fourth of July. 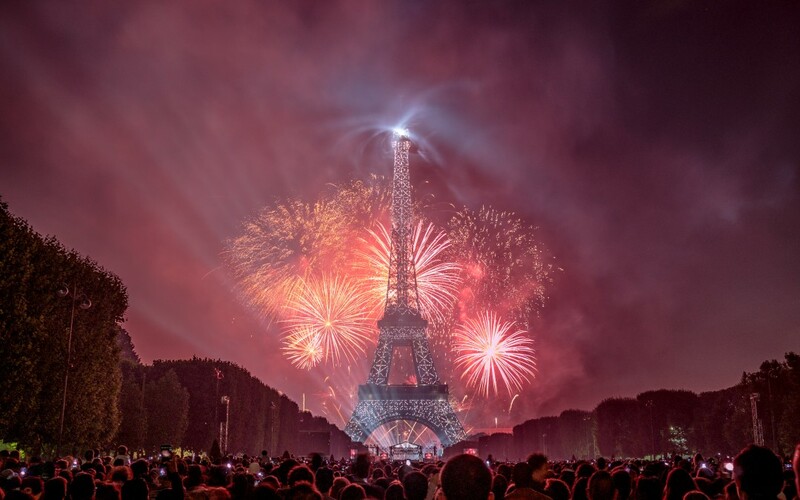 To celebrate the day, and I do intend to celebrate Bastille Day, we at Top Ten will be featuring some great French wines. Top Ten has partnered with a French import company to bring you some affordable and well-made wines from the prestigious Bordeaux region. You’ll see the Calvet name on the labels. That is the surname of Jean Christophe Calvet whose family has made and sold wines in Burgundy and Bordeaux for over 200 years. We think the wines are stylish and great. We are opening some of them this Saturday for your appraisal. Vive la France! A delicious Sauvignon Blanc that comes from grapes grown on clay and chalky soils. The color is a pretty pale yellow with green highlights, and the nose is elegant and floral with citrus notes. The body features more citrus flavors and fresh cut grass. Great with roast chicken and pesto sauce. The wine has a deep ruby color and a nose of red berries, spices, and smoke. The palate is full-bodied with red and black fruits, caramel, and black pepper. Nicely tannic with a finish of all elements harmonizing. A bubbly treat! The Semillon and Cabernet Franc translate to a nice fruity sparkler with enough acidity to be crisp yet really approachable. Kick-off every Friday night with a glass or two of this! Deep purple color with a nose of black raspberries, plum, and spice. The wine has a nice richness with lots of fruit and savory herbs. Great as a grilling companion to go with your culinary creations. Think peppers, onions, and beef. 67% Cabernet Sauvignon, 31% Merlot, 2% Petite Verdot.